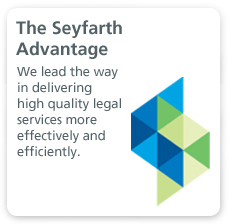 In today’s climate of increasing federal audits and regulatory oversight, our clients rely on Seyfarth Shaw’s Health Information Portability and Accountability Act (HIPAA) Privacy and Security attorneys to ensure compliance and avoid costly penalties. Whether large or small, healthcare plans count on Seyfarth to provide a range of services that includes implementing and enforcing how the group health plan, the employer and plan providers can use and disclose protected health information as well as communicate with plan participants, the U.S. Department of Health and Human Services (HHS) and sometimes the media, in the event that protected information has been erroneously disclosed. Additionally, we bring a wealth of experience in amending healthcare plans, compliance policies and procedures, and provider agreements. Apart from reviewing and revising policies, we ensure that employees are accurately trained and that health care participants are properly notified of their individual rights. 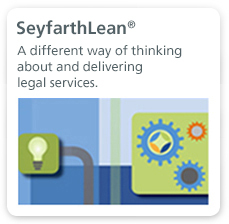 Seyfarth’s cutting-edge approach has allowed us to develop a number of tools that clients can use to achieve compliance, including our flat-fee HIPAA subscription service through our Benefits Consulting Group that provides automatic updates for new regulatory developments. Additionally, we provide personalized on-site consultation, training and interviews to determine the location and uses of protected health information. We also help our clients formulate comprehensive policies that provide guidance on day-to-day operations and the processing of requests and complaints. Finally, we provide a customized set of frequently used regulatory forms and business associate agreement templates. 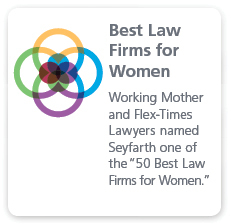 Likewise, our benefit plan clients benefit from Seyfarth’s astute guidance in computer and technology contracts, e-health initiatives, intellectual property, medical records retention and compliance for insurers, providers, vendors and other third parties, and with state-to-state privacy laws.